It’s Cinco de Mayo, and I’ve got nothing but Mexican food on my mind today! So, I’m sharing my favorite, super easy, authentic pico de gallo recipe. Not only do I use this 0 Points dish as a dip for tortilla chips, but I use it to top many other foods as well…chicken, fish, salads, sandwiches. My husband will even eat it straight up with a spoon! 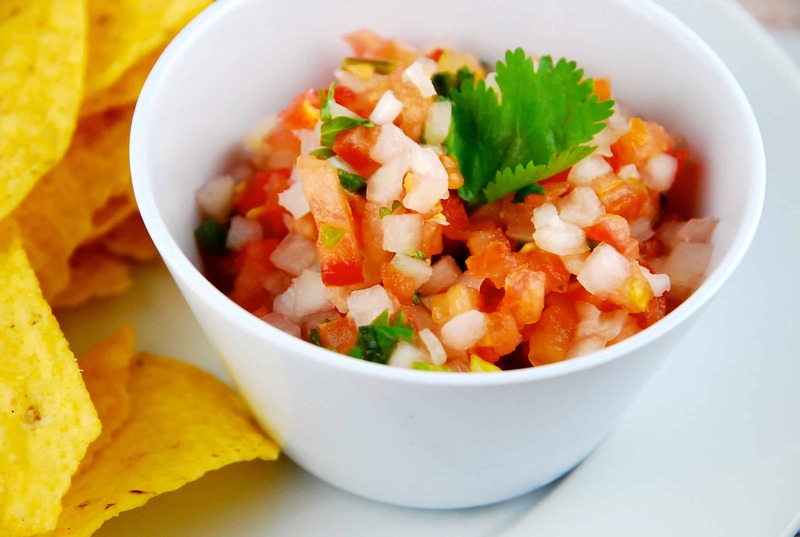 Fresh, flavorful, and incredibly simple, this uncooked salsa is a perfect compliment to your favorite Mexican meals. Combine all ingredients together in a medium sized bowl, and adjust salt as desired.